The leadership and the influence of the Chairman of the Board of Directors for the Samoa Water Authority, Matataualiitia Afa Lesa, has been acknowledged by the Pacific Water and Waste Association (P.W.W.A). 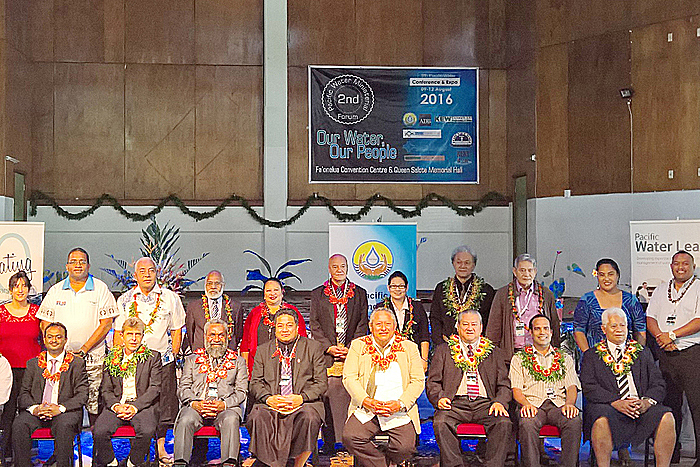 The former Cabinet Minister received the P.W.W.A Water Professional 2016 Award during the Association’s gathering in Tonga recently. It was one of five awards collected by S.W.A at the regional gathering. Present at the Awards Ceremony was the Minister of Works, Transport and Infrastructure, Papali’itele Niko Lee Hang who was accompanied by the S.W.A Managing Director, Seugamaalii Jammie Saena, members of the management and staff. Papalii Helen Lei Sam, of the Authority’s Engineer Planning and Design Division collected two awards. The first was the P.W.W.A Young Female Water Professional 2016 Award. It recognizes a young female professional who has made a significant contribution to the water industry and general community and has demonstrated the potential to play an influential role in the Pacific water industry. 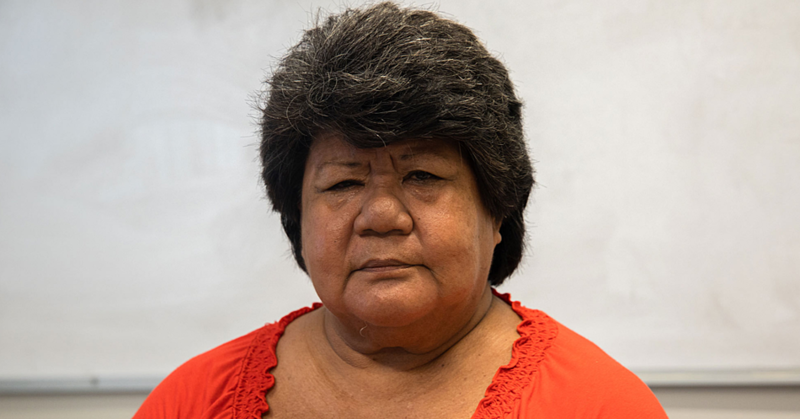 Papali’i went on to pick up the Best Presentation award following her presentation on the topic of “Water and Jobs.” Papali’i and Peter Lokeni had submitted proposals and were accepted to present at this year’s conference. The fifth award collected by S.W.A was the Best Climate Resilience Water Utility award, recognising international best practices and adaptation measures in its systems and operations to minimize the impact of climate change on infrastructure and operations. “The Authority is pleased with the recognition of its achievements in the development of water services in Samoa as well as being a prominent water utility in the Region,” a statement from S.W.A says. Judging of the awards was managed through a peer-review process by a panel of water sector experts from relevant areas of the industry, using the P.W.W.A Benchmarking process. The member countries are Samoa, American Samoa, Federated States of Micronesia, Saipan, Marshall Island, Papua New Guinea, Tokelau, Guam, Cook Islands, Tuvalu, Nauru, Niue, Palau, Solomon Islands, Tonga, Vanuatu, Fiji, Kiribati and Northern Mariana Islands., New Caledonia. The Pacific Water and Waste Association is a regional organization comprising of 26 Pacific Island water and wastewater utilities across 20 member countries. Its mission is to enhance the delivery of quality water related services that enhance the wellbeing of the people throughout the pacific region. Every year the Association gather to recognize and encourage corporations and individuals who have made significant contributions to the enhancement and delivery of quality water services in the region.